The first thing to do after you say “Yes I will marry you!” is to tell all of your friends and family. You can do this by phone, email, twitter, facebook or face to face. These people will be very happy for you and many of them will be in your wedding party. They will support you 100% during this time. Next you will need to set a date and find all the professionals to help you create the wedding of your dreams. Usually the last professional you hire is the DJ, since the date, time, and location will determine their availability. You should not underestimate the DJ’s pivotal role as a planner, director, and MC. A qualified DJ will use their vast experience to help you make a flowing timeline and execute a worry free reception. 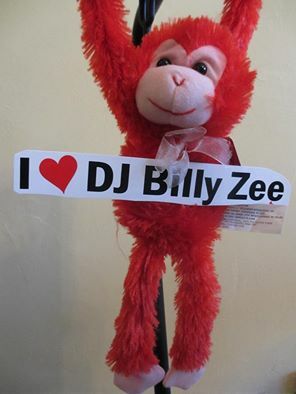 DJ Billy Zee is your perfect solution to make every detail fit, just like a bride’s wedding dress. The online planning forms will assist in bringing your personality and details together for a seamless timeline. Your songs will be chosen before the wedding, so DJ Billy Zee will mix the songs you and your friends will enjoy. Read the testimonials of satisfied clients. Look for the 2016 Bride’s Choice Award given to the top 5 percent of wedding professionals. Find leaders of organizations like the Baltimore DJ Association and you will find a qualified DJ.